You may have never heard of FELIXprinters, but they're trying to change that. 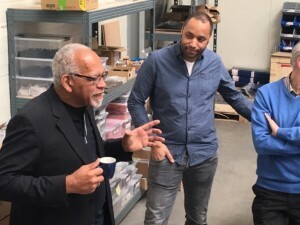 The company, founded by father and son Wilgo and Guillaume Feliksdal, recently released their new industrial printers Pro L and XL. 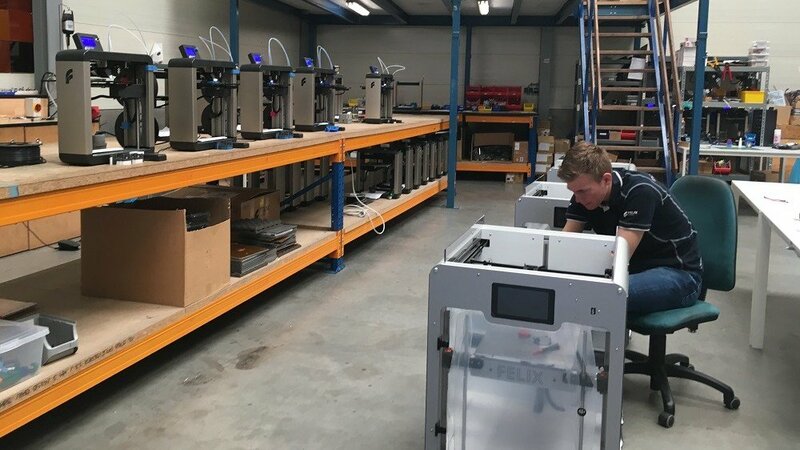 Netherlands 3D printer manufacturer FELIXprinters officially launched its new Pro XL and L at its facilities this week. The printers are geared towards the professional market and boast large build volumes, dual extruders and no-power detection to avoid print failures. The specs of these machines are impressive, but what’s perhaps most impressive is how this small company has been producing machines for about eight years with little buzz. “We are not good in marketing,” admits Wilgo Feliksdal, who founded the company with his son Guillaume in 2011 after a 25-year career at Philips. Prints decorate the office, from swirling, delicate vases that look like the famous Dutch tulips to a zero infill rocket, almost translucent in a clear filament. The facility is about a 20-minute drive from Utrecht’s central train station and has 10 employees in total. It’s attached to their factory, where they assemble the printers and test them for quality assurance. It all began in 2007 when Feliksdal’s son finished his master thesis by making a humanoid robot that could walk with no support. Around the same time the RepRap movement began, Guillaume decided to do a V2 of the robot, so he bought a printer kit to use as parts. The quality wasn’t great, so he made his own 3D printer and became “addicted to the process of 3D printing,” he said. He showed it to his father “and he was addicted as well,” laughs the younger Feliksdal. 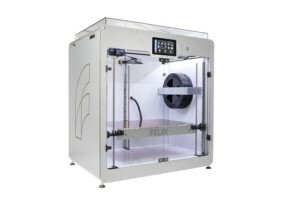 They ended up founding the company and releasing their first machine, a RepRap Felix 1.0. Since then, they’ve released several more printers, shifting their target market from consumers to prosumers and now industrial. Their latest machines are a sleek light silver color with a large touchscreen, a glass door at the front and a glass top. They also have a side panel that opens to let you change the filament, which is kept inside the enclosure. The hotbed has a flexplate which pops on and off to make it easier to remove prints. 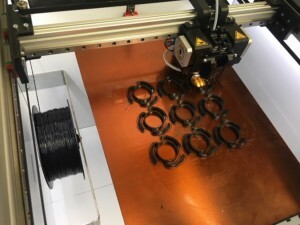 The printers also boast a sensor in the nozzle for automatic bed leveling, a camera to monitor prints with a mobile phone from anywhere in the world via USB or WiFi and dual extrusion. They can also be connected in a network. The L, which has a build volume of 300 x 400 x 400 mm, is priced just under €7,000 and the larger XL, whose build volume is 600 x 400 x 600 mm, is under €12,000. Both prices exclude shipping costs. The machines are solid, weighing 63 kg and 80 kg respectively. They can handle being moved around and continuing to print and can also continue working for about 45 minutes after losing power. One of the biggest perks of these machines, as with all FELIXprinters machines, is they are upgradeable. “If you buy (one of our printers) you’ll always have the opportunity to upgrade that to the latest state of technology,” says Feliksdal. So far, FELIXprinters has sold more than 5,000 machines worldwide. They have a global network of more than 40 partners including resellers and distributors and their printers are used in architecture, product design, education, food and the automotive industry by companies like Tesla, Microsoft, Volkswagen, Mitsubishi and Philips. As for what’s next for the Dutch company, Feliksdal says they’re working on chocolate printers and bioprinters. They’re also planning on launching a FELIX Tec 4.5 by the end of this year, a prosumer machine. License: The text of "FELIXprinters Launches Pro L and XL Industrial Printers" by All3DP is licensed under a Creative Commons Attribution 4.0 International License.